Ben is the Director of the Wexner Heritage Program at The Wexner Foundation, a premier leadership and Jewish learning program for volunteer leaders in the North American Jewish Community. Recently, Ben worked alongside Rabbi Dr. Lawrence Hoffman in the development, curation and editing of The Wexner Foundation’s new leadership volume, More Than Managing: The Relentless Pursuit of Effective Jewish Leadership. Ben developed and led the first four cohorts of the Wexner Service Corps, a service-learning initiative for Columbus area Jewish high school students. Ben received a BA in Politics from the University of California at Santa Cruz. Before attending YCT, he was a Steinhardt JCSC Fellow at Cornell University Hillel and subsequent to that, the Program Director at University of Michigan Hillel. 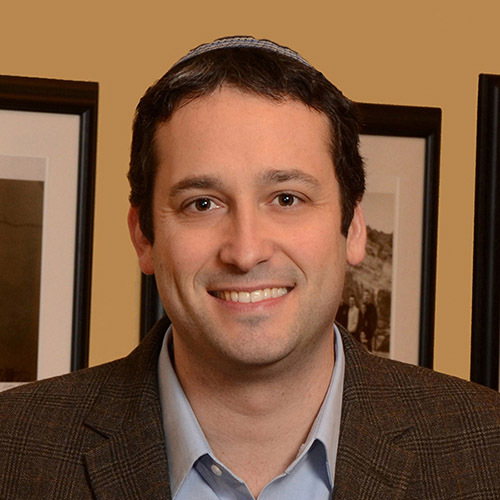 Upon receiving semicha Ben became Senior Jewish Educator at the Ohio State University. While there, he helped shift the culture of the Hillel to one where Jewish learning and Jewish conversation were central expectations of programming and integrated into the fabric of the institution. He developed a unique methodology of Jewish Conversation and was highly involved in training colleagues across the country to utilize this methodology in other Hillels. Teaching regularly in a variety of settings and topics relevant to the lives of emerging adults, Ben became a popular teacher, mentor and counselor to hundreds of students. He was awarded the first inaugural Larry S. Moses Award for a Young Jewish Professional in Columbus. In recognition of its transformation during his time, OSU Hillel received Hillel’s 2012 Vision and Values Award, Joseph Meyerhoff Award for Meaningful Jewish Experience. Ben is married to Rachel Weiss-Berger and they have four daughters.